Jon Russell, 33 year-old city councilman from tiny Washougal, Washington is making quite a name for himself in his bid to run against incumbent Democrat, Brian Baird in the 2010 elections. His campaign manager/blogger labels him as “Courageously Wading Into Troubled Waters” for throwing his fellow Republican mayor of Washougal under the bus as news of unaccounted for monies surfaced just days before this year’s election. Others, less enamored with Russell, label him a political mercenary, inexperienced and even opportunist. Whatever we label him, he is a legitimate candidate who claims he is the one best suited to be nominated to run against Baird. That Russell quickly began distancing himself from the scandal and appeared to take a leadership role is without question. He issued a lengthy statement to supporters on October 30, days within the release of an audit critical of Washougal finances and mayor Stacee Sellers. I couldn’t agree more with that statement. I’m not too sure Jon or his campaign manager/blogger will, though. Yes, it does appear the “silly season” is well underway, since this information is readily available on Washougal’s website for any who wish to see it without making any request to the city. In fact, that is where I went to ‘fact check’ Jon’s amazing claims he made in distancing himself from the fallout of the State Audit. To settle any attendance claims, Jon only missed 7 meetings in his entire time on the council, giving him nearly a 90% attendance rate. I’d rate that as very good. What may not be so good for Jon is looking over the council meeting minutes and comparing what is recorded in them with some of Jon’s other claims in his letter to supporters. While minutes might not show contentious exchanges they do show voting and opposition in their summaries of the meetings. After being accused by those from within the Russell campaign of “eagerly manipulating this to reflect negatively on Russell,” that same person recommends “stepping back and looking at the facts (not the innuendos).” Where better to find those “facts” than the council meeting minutes? From reviewing the minutes and how voting on motions went, excluding motions to adjourn naturally, I found that Russell voted in agreement with the “progressive majority and the Republican mayor” some 89% of the time, voted against them only 9.5% of the time an abstained only 1.5% of the time. After the mayor’s challenger read his letter sent to the State Auditors about the cities finances at the August 17, 2009 meeting, Russell voted with the “Progressive majority and Republican mayor” 74% of the time, against 26% and no abstain votes in that few weeks. While he might not have been able to “rally support” from the “Progressive majority,” it appears to me they received plenty of support and agreement from him. Nowhere in the minutes is there any record of him questioning such a rule. Lest you think that is something that would not be recorded, council member Paul Greenlee expressed his disappointment with no scheduled workshops citing that “the mayor can speak with staff at any time but council cannot have discussions outside of a scheduled meeting” at the October 6, 2008 meeting. The last I heard, Progressives are more aligned with the Democratic Party, which mayor Sellers challenger, Sean Guard belongs to. Russell claims to also be a Republican, just as mayor Sellers was. While we may have RINO’s and liberals in the party, I do not find those I would call “Progressives” within. And don’t forget, Russell voted in agreement with that “Progressive majority” 89% of the time. In the beginning of his letter to supporters, Jon lays claim to, “I take no delight in leading our council in an inquiry of our current Mayor’s troubles,” yet it was he who pushed for a rapid censuring of mayor Sellers and began calling for her resignation and impeachment if not submitted. Jon appears to have appointed himself Judge, Jury and Executioner before the State Auditors complete any investigation into the matter. In all I see a lot of excuses given to distance himself from his own lack of performing his job on the council. As I said earlier, how would he rally the support of 434 other House members, many of whom are also “Progressives,” when he couldn’t rally any with 6 council members? Jon seems to have burst on the scene locally just a few years ago, having moved here like many of us have. That he has political aspirations is a well-known fact around Clark County. While he rightfully attacks Congressman Baird over his lack of addressing many economic issues facing the country today, he neglects and covers-up his own lack of proper performance in the same sort of financial matters for the city of Washougal. We were just days ago told of how he flaunts his record on tax cuts, due to a 1% decrease he sought for Washougal property taxes. But, we see no mention of when his company, Northern Concepts LLC campaigned on behalf of the Port of Vancouver for one of the largest tax increases ever proposed for our community. Is there some reason you did not already have that “ability,” Jon? What leaves me scratching my head trying to figure out is in reading Jon’s own “About Jon” page on his campaign website. Missing from his long list of accomplishments, jobs and positions held is any mention at all of his company, Northern Concepts LLC. Only Jon knows why he isn’t as proud of that as he is every other listing on his web page. From what I discovered in comparing his claims versus what is recorded in the official Washougal City Council Meeting Minutes, and in Public Disclosure Commission filings, he is nowhere near what we need or deserve representing the 3rd District on the US House of Representatives. 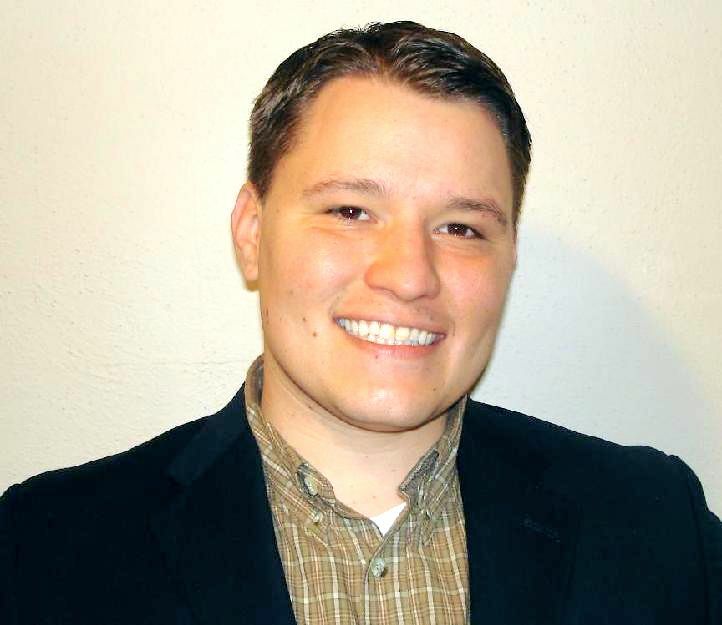 Although I initially asked readers to support David Castillo in his quest to unseat congressman Baird before Jon entered the race, I was willing to give Jon a fair chance to show he was also suited for the position. After seeing his subtle attack on Castillo at the September 30, 2009 Central Committee Meeting and how fast he has been to throw a fellow Republican under the bus in favor of a Democrat candidate and how he seems to be padding a resumé while not being totally forthright with voters in the 3rd District, I can in no way get behind such a person. Placing that ‘R’ behind his name does not make him anything in my eyes nor should it automatically garner support from voters. I desire to see Brian Baird voted out of office and replaced by a strong advocate for the 3rd Congressional District, not just another slick politician sporting a Used Car Salesman Grin on his face and enamored with himself. I encourage you all to review the council minutes for yourself and see what is recorded in them. It’s time to Be The Party, not use the party.